Here we are at the last episode of Hyori’s meenbak. Today Hyori and Yoona finish up their bike ride, then one pare of guests o to Halla mountain and the other pair collect wild plants for a breakfast stew. They even manage to fit in a barbecue. It has been an interesting ride this season with snow storms, busted water pipes, sickness, and surprise helpers. All the guests leave today, including Yoona, so by the end of today’s episode the meenbak is back to its quiet state. This is quickcap so we are publishing it quickly; there are some typos below. One day before closing the business. It is a peaceful Jeju spring. On the peaceful landscape somewhere, I hear a big sound. VROOOOOOOOOM. Cut to Yoona and Hyori riding with the bikers. Hyori waves at all the neighbors that she knows, but they don’t’ recognize her with the helmet on. Hyori laughs, they don’t recognize me? They have freedom for the first time. Yoona and Hyori yells that they are going to the sea! Go forwards! To the sea! Straight into the sea! They drive along the coast and drive to the lighthouse. They get off at the light house and look at the sea. Hyori comments that she really loves it over there. Yoona and Hyori sit on the wall and talk about how strange they look with their helmets on. They also do the low gravity walk again, which is so adorable. Hyori – Gravity gravity….Im Yoona….where are you at…..I am falling now……the earth the earth…..Sang Soon…..I love you! ….. don’t forget me! But then they say that they look crazy and laugh. Back at the meenbak, Jackson and Midal play catch outside. it is like a park in new York City. Jackson throws it and Midal catches it, but he doesn’t give it back to him, lol. The family goes out for the morning. They say goodbye to Jackson because today is his last day. The girls leave as well. Sang-soon tells them they might have barbecue if the weather is good. back at the coast, the two astronauts are still pretending like they are in low gravity while the bikers went to buy coffee. Hyori tells her that it is funny to talk about serious things with those helmets on. they start talking about how tomorrow is the last day. Does Yoona want to talk to her about anything? The kind of thing you can’t say unless your face is hidden. Yoona says, she just couldn’t say it because it looked so much like I was being too formulaic. I just , you took me so friendly, not like a sunbae eunnie but like a real eunnie in the neighborhood. Thank you so much. The bikers come back with the coffee. Hyori asks if she can drink i with the helmet. I don’t want to take it off. I want to take the helmet off and have my hair fly free, that is one of the things I always imagined doing. She starts to take off the helmet, but it won’t come off, it is super stuck! LOL. She finally pops it off, it is the opposite of romantic. Hyori tells Yoona to take hes off, her eyes are almost shredded. Yoona starts to take the helmet off. Hyori tells her this is a variety show so she has to put her head to the camera, she will test how good she is. You have to stretch your eyes. Good job! You are a real variety show person. Yoona gets it off and immediately covers herself with her hoodie. She says it is a little colder now that the helmet is off. They joke about Yoona pretending like she is cute as she shakes her legs. Then the bikers take photos with Hyori and Yoona. They do that for a minute and then ride back. The bikers says to have Sang-soon give her a ride like this once in awhile. But Hyori says SS doesn’t like riding motorcycles, he only likes riding rhythms. Cut to Sang soon riding a rhythm with his guitar. Jackson is on the piano and they are grooving out. Everyone gets back. They all say hello to Jackson then Hyori tells them to put their hands under the warm water. Everyone does that for a moment. After that, Hyori plays with the camera in the same way that Bo-gum did. SS starts playing with it too, but the camera doesn’t’ play with him. Hyori says they have a difference in visuals. Hyori says she is sorry her true mind came out without her noticing it. Appa fighting! Hyori tells Yoona to put her hands in the water. Then Jackson comes by and tells them that he is leaving. He will miss the Hyori the most. Sang-soon is all like, huh, what? what?!? The bikers also leave so everyone takes photos all together. They give huggies to everyone. Jackson also hugs the bikers, but his carrier rolls away so one of the bikers chases it down for him. Jackson walks out and the bikers drive out. The bikes take their boat out and Jacksons plane is in the sky over them. Meanwhile, the happy friends go hiking in the woods. There are tall trees all around them. They do a lot of cute poses all over everywhere they go. They go to a fake hang gliding place. It is basically a hang glider that is attached to a chord so you get the feeling of hang gliding without the danger of it. Sun shines on the meenbak. The spring meenbak is clearer. Hyori goes outside and sits on the deck with her dogs. This is the first time she is able to do this in a long time. It is warm enough to take off her thick clothing. Spring smell is everywhere. A nice song plays as Hyori walks around the green yard with her dogs. Yoona comes out as well and enjoys the sun. Hyori tells her to get some suk (wild plants to eat). Hyori says the bikers are poor guys, they should have a memory of this warm Jeju. Yoona and Hyori pick all the suk. Hyori goes inside and starts to make suk sul dduk. This is suk alcohol dduk that they will make into a rice cake. HYori adds makgoli to the suk and blends it. Then they mix it with sticky rice powder to make the dough. They let the dough steam. Meanwhile, Hyori makes carrot noodles and cucumber noodles with a strange contraption that makes the carrot and cucumber cut into a noodle shape. You have to rotate it so it cuts the vegetables into long string shapes. Hyori takes the dduk out of the steamer and says, It smells like suk dduk. SS laughs but Hyori says it will really taste good, you will be surprised. they sit around the table and eat the dduk cut into pizza slices as well as the vegetables with noodles. The family comments on how many flowers there are in Jeju. They never thought Jeju would be like this. The family take a real submarine into the water. It is a submarine underwater tour. They see all the underwater life along the reef of Jeju. They also see scuba divers feeding the fish in order to bring them close to the boat. One of the scuba divers grabs a stingray and a shark to show to the tourists in the submarine. Hyori, Yoona, and SS go out for a walk. SS comments that Yoona will be jobless after this. What will we do without Yoona? We will feel your emptiness. Hyori says it will be a long emptiness because Yoona is tall. They have four dogs with them and walk up a hundred steps to get to their trail. The steps are really steep, but they say just take it one step at a time. Once they get to the top, Hyori asks SS to take a photo of her and Yoona in these tall colorful chairs next to a picture frame view. The photo looks very cute and the view is very nice from there. They can see Halla Mountain from there and comment about the snow that is still on the peek. They decide to go to Halla mountain tomorrow morning. But now they are still walking around this area. They sit on a rock fence and talk about the two weeks that they were in this meenbak. It was short, but they met a lot of people. They think they met 30 people but they actually met 37. Hyori says a lot of people want to live there, but actually it is very simple living. Today is the same as today from a year ago. SS says they thought this simple life was too boring, but after 5 years they really like it. It gives them stability and peace of mind. They like it a lot. Yoona says living boring would be special to her. Hyori tells her she can do all the boring things at their place. Yoona’s new single starts playing as they take a lot of selfies together. Sang-soon goes to fill the hot water outside. It will be used for the last time with the guests. The clean tub and then fill it with hot water. It grows dark at the meenbak. The family comes back in. Hyori tells them that they look super happy. They ran the water for them so they can take a nice bath together. SS goes to make a fire outside. The caption says that the fire god came back and Goblin music plays. SS concentrates so hard on the fire while the caption says, the time we spent together was shining. Soon-kebi, god of the campfire came back. The friends come back at 7:30 pm and immediately see the campfire as they drive up. Montage of everyone going outside to help with the campfire set up. it feels like the olden days of the meenbak as the table is pulled close and the meat is prepared. Everyone eats and drinks in their little areas. Hyori says she was worried that it might rain again, but now, finally, they can go outside for a barbecue. Yoona has her own little fire pit by herself so Sang-soon laughs and tells her that she can eat. Hyori tells her that she likes it by the fire. The mother and father come out of the tub and sit at the table. Appa thanks them for this hospitality. Hyori tells them that they are going to Halla mountain int he morning and everyone can join them if they want. If not then they can sleep in. It is up to them. It is time for Yoona to leave. The three go inside. SS spreads rumors that she doesn’t’ want to go to Halla mountain. Hyori is all like, is that true. Yoona is like noOoOoOoOo. SS laughs. Yoona goes home alone at 10 PM. A gorgeous song plays as she walks out. Then we cut to the guests finishing up outside. Everyone wants to go inside because several of them want to go to Halla mountain. Hyori asks one of the girls if they will go to Halla mountain like that. She says she will sleep in her clothing because her parents will be sleeping. Sang-soon isn’t going to Halla mountain, so he says, for everyone who isn’t going to Halla mountain, we can harvest suk and eat it for breakfast. Hyori and SS talk about Hyori bringing food with her to Halla Mountain. Perhaps she should bring the extract juice. They laughed about that, probably because Hyori buys that but doesn’t’ drink it. The guests also prepare for tomorrow. They wrap up their night and everyone goes to sleep. It is the last night at the meenbak. So many stars in the morning. Three of the women hop in the car with Hyori and they all go pick up Yoona. Yoona is waiting outside for them at her place. They put in the navigation and head out. Yoona thinks she will be in trouble today because it is much harder to climb Halla mountain than those tiny steps from yesterday, yet she had a lot of trouble yesterday on those steps. Hyori says she loves climbing mountains but SS doesn’t’ climb then often. So she is happy to go to th mountains today. They mention that one of SS’s songs talks about hiking. Hyori says, oh yeah, let’s play that song. So they start to play it. The sun slowly starts to rise as they drive. This is the morning of their last day together. They get to the mountain and all exclaim how beautiful it is looking over the cliff and at the ocean. they almost had goosebumps. They arrive at Halla mountain and park. Yoona has some hot packs that she passes around to everyone. They also all walk with spikes on and comment about how strange it feels to walk with spikes. SS wakes up without the alarm and lets the dogs out. The dogs are happy. The family is already out harvesting suk to eat for breakfast. Appa woke everyone up early to harvest the suk. they have been harvesting it since 7 am. They harvested a lot and cleaned it. SS makes them all tea and talks to the father about waking up early. The father is a taxi driver so he wakes up early to work. He used to work from 9 pm to 9 am. It was really easy before, but now it is difficult. So now he works for two days and takes a one day rest. SS says, ah…nothing is easy…. The family all come and they all have a relaxing evening talking and drinking the tea. Snow is still all around Halla mountain. Hyori tells them that they had 3 guys that came during the winter who walked the mountain during a storm. They walk past a bubbling brook that has several very tiny waterfalls. they comment on the sound of the brook and how it is nice to sleep to. They continue talking and says that it feels like their nose is opening. Hyori talks about how high trees get more wind, that is why when you are popular and famous, you get more wind hitting you. Do you like it? That is the law of nature. It is my saying. So you have to accept that you will have more hard times when you become famous, that is the law of nature. That is her quote of the day. Yoona claps for her. It starts to get harder and harder to walk. Their footsteps get heavier. Then they get to the stairs to Heaven. Everyone complains that their legs are wobbly, where is the end? If you push a little bit then it will be easier. Yoona, are you dragging me or pushing me? HYori tells them, believe it or not, when you put your hands on your back, the walk is a lot easier. Don’t I look like a Hallasan guide? They finally get very close to the top like pilgrims walking to the Heavens. After finishing this steep hill, they get close to the top and see the Hallasan mountain rocks surrounding them. Hyori tells them that the meaning of this place is the house for gods. At the very top is a field and a lake with endless sea and clouds. Hyori tells them that they should take a break over there to the side. Everyone looks over all of Jeju island. Daebak. They drink tea and relax. they also look at this little crow that looks a little silly. They think the crow is angry at them and is telling them to go away. His feathers are bigger. Hyori calls SS and tells him that they are at the top of the mountain. SS gives the phone to the daughters mother so she can see them. the daughters smile and wave at their mom. SS tells them that they already harvested the suk so they can come back slowly and then they can make breakfast. After the phone call they take a lot of photos and slow motion videos. HYori and Yoona start to do the tell me your wish song on the mountain. Hyori is a bit nervous as the music starts, btu she gets ready to tear it up. The music kicks in and Hyori does the dance. But she gets to the part that she doesn’t’ know and starts dancing like a shaman. Hyori says this was fun, it was worth learning the dance. They all head back. SS already started making the food with the Umma. Hyori says she took her parents to Bali and they only wanted kimchi and ramen. Hyori was angry. She should have served their food for them, but she was too angry. Daughters are like that. She should have been friendly to them, but she just gets angry when she wants them to do something. Yoona says she is similar. Hyori says she is a little awkward with her father. She wants to be super friendly with him in her heart, but she always tells him to just leave when they go somewhere together. Appa says my princess in other families, but I can’t imagine that. It is not like our family. Why can’t we find drama appa’s in real life. Someone comments that they have a friend who is like that with her appa. they also comment that fathers think the same. There are nice daughters in drama’s, why don’t’ I have a nice daughter like that. Hyori asks if they have any songs about appa. She starts singing the cheer up appa song. But appa’s don’t like that song because they have to work hard. Hyori tells them to run to appa and say APPA I MISSED YOU. As soon as you get out. But the daughters are all like, no. Hyori tastes the food, it tastes so good. They are all excited to eat. Sang-soon tells appa that he can come in and eat, and they all sit for their last meal together at the meenbak. Umma invites them all to visit their house later. Appa tells them all to just eat a lot right now, don’t think about later. Afterward, Hyori goes outside and sits with her flowering tree. She tells SS that she really likes it. SS takes a lot of photos of Hyori under the tiny tree. Hyori tells the Umma and Appa to take a photo with the tree as if they are newlyweds. It is so cute. Umma thinks they should look away but Hyori tells them to look at each other. Hyori says she will show the photos to their kids and she runs inside and shows them. The daughters think the photo is really good and she captured their Umma’s embarrassment well. Hyori and Sang-soon take photos with everyone and put them on the board. Then they say good bye. The happy friends leave next. Now it is quiet all along the meenbak once again. SS reads the handwriting from the guests and tears up. Yoona makes a happy dance for Sang-soon. They all sit and drink some more tea. SS asks when they will see Yoona again. Hyori says everyone says they will come visit, but no one comes. It is like the parents feel in the country as they wait for a kid to get a job in Seoul. Yoona says, to lower your expectations, I will never come back. Hyori starts laughing. SS says he will text her every night. Hyori tells her to turn off her cell phone at 10 pm every night. If you don’t answer then he wil be timid and won’t send them anymore. SS tells Hyori that she knows too much about him so he needs to remove her. They laugh. Yoona leaves to grab something then she comes back with her present. It is the family drawing of the meenbak. It is a really good cartoon job of everyone that makes Hyori and Sang-soon laugh. Yoona laughs too. She says she failed when she tried to draw Mimi. SS plays the TV and shows their present to her. Yoona asks if she is going to start crying. Hyori tells her it is not a tear jerker, don’t’ worry. But Yoona says she is crying already. We have to prepare a bye bye with noona to show her how pretty she is. Let’s make a music video. Hyori took all the video and edited it. Yona’s nickname is Yoong, so it flashes on the screen. The song playing is “When I see her face” and we see a lot of images of Yoona over the entire stay at the meenbak. It is a nice homemade video. They watch the entire thing. The production shows us hyori taking video of Yoona all the time during the stay. This is why she took all the videos of Yoona. they even have the Halla mountain video there. It is a video only for Yoona. This video is really sweet. The end of the video says you are pretty as is so it is okay (You are pretty just the way you are). It is basically what the lyrics say. 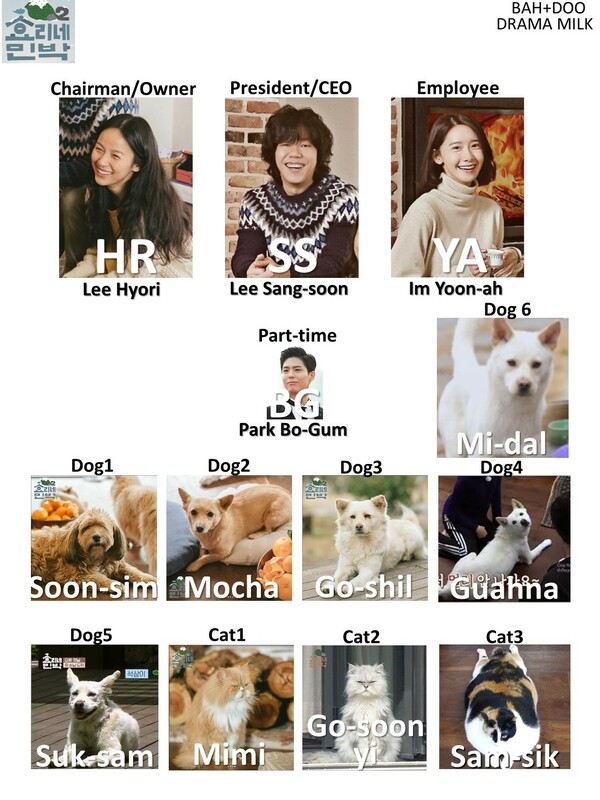 The credits show all the people at the meenbak like Bo-gum and Hyori and Sang-soon and the dogs and cats. Hyori says she doesn’t’ like taking videos, she hates it. SS says this is his first time editing. He had to learn it just now and then he made his own music video. Yoona says she didn’t’ want to cry, but she cried. They all leave and go back downstairs. SS tells her to go back to her fabulous life as if nothing happened. They all go outside with Yoona still teary. But they are all smiles. Yoona says she will visit them often. Hyori says everyone says that. Yoona tells them that she will never come back there. Hyori and Yoon have a super big hug. Yoona picks up Hyori. Hyori tries to jump onto Yoona but they all fall. SS has to help them both up. they hug again and Yoona picks Hyori up again. Yoona hungs SS as well, but she asks hYori if it is okay before she does. Yoona walks off to the gate ad waves at everyone as she leaves. SS wants to watch her go all the way out, but Hyori tells him to come back to the deck and take care of her. They talk about how no one is there anymore. Only them. SS tells Hyori that they worked hard. So maybe she can go somewhere by herself. Hyori asks if she can go to India and stay there for a year. She will come back as a new person. He jokes and asks if she is coming back as 3 people? (“three person” has a similar pronunciation as “new person”). He asks if she is coming back with a husband and a kid. From now on, Hyori’s family becomes normal again. Sogili editing room. Hyori and Ss edit Yoona’s picture and edit in everything. Yoona is crying and smiling (which means hair will grow on her booty hole). They laugh at that. Hyori says this makes her cry. Why am I crying? There will be a bonus episode next week that will show unaired footage. At the very end, they show Yoona’s music video which is newly released. 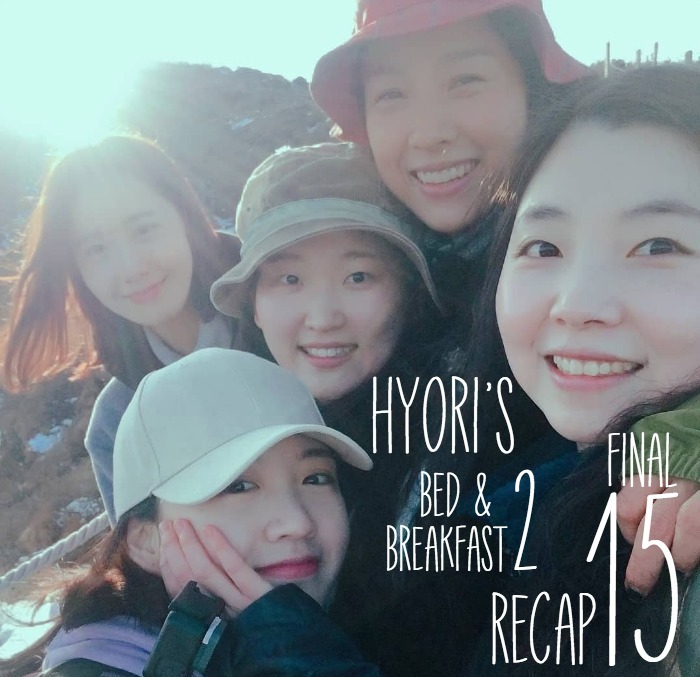 It is the end of Hyori’s Bed and Breakfast season 2. I am happy that the episodes started calming down with the number of guests that were crammed into their tiny space. It allowed Hyori and team to actually focus on one thing at a time and get to know the guests. I also loved that the could actually barbecue outside again. Perhaps they shouldn’t’ do any more winter B&B’s. Or maybe they should just hire Bo-gum to talk to all the guests all night long. He was so friendly. If they do have another season, then I would love it if they had to do something completely different. Like cater to a Boyscout team (or the equivalent in Korea) or cater to a lot of Halmae’s or Halbaes that are on vacation there. But in order to do that, they would probably need a very big name young star as their help. 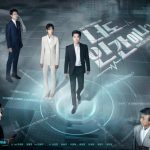 Previous Post Finally Poster love for Are You Human, Too? I actually prefer IU over Yoona. Yoona knows..everything and was friendly. She didn’t step out of her comfort zone. While IU experienced growth that was sincere and funny…. And I think she was closer to the guests as much as she can. Me too, I really liked how IU looked like a fish out of water and wasn’t that great at anything, but she was sincere, tried her hardest, and hung out with the guests until the wee hours of the night. IU also had funny quirks like the way she ran and the way she ate which made her very human and endearing. It really looked like she had a lovely growth over the course of the show. I tried to look through all the recaps and the comments in case it had already been asked. I’m trying to learn all the animals names and it’s harder to find all their names than I thought it was going to be. I know that there are 5 (maybe 6) dogs as of season 2, and 3 cats. I think I have all of their names, but if you’re able to check if I’m missing any of them. I would really appreciate it. I totally forgot to post our character list for this show. Let me see if i can find it!